Chicago — True to its title, this sale featured a spellbinding selection of traditional, foreign, limited edition, and art books. Lot #298, a c. 1895 edition of Paul de Musset's The Last Abbe more than tripled its low estimate, making $1,875. This gloriously detailed and illustrated livre d'artiste was published in Parish by Societe des Beaux Arts and was copy “H” of 20 copies of the Edition de Deux Mondes. 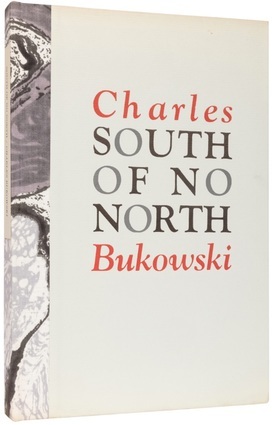 Lot #230, a first edition of Charles Bukowski's South of No North was estimated at $1,500-2,000 and traded hands at $2,280. It was published by the Black Sparrow Press in Los Angeles in 1973 and was number 5 of 50 hand bound copies. This important lot included an original signed painting by the controversial author. And lot #528, sixteen 1920s-30s titles from the Wizard of Oz Series by L. Frank Baum and Ruth Plumly Thompson sold for $1,188 on its $500-750 estimate. This fine grouping included color plates and illustrations by W.W. Denslow and John R. Neill as well as several early and collectable editions. Comic books featuring some of the 20th century's most popular superheroes also had strong results at this auction. Lot #697, a CGC graded and encapsulated Marvel Comics X-Men No. 1 was estimated at $1,500-3,000 and realized $3,500. This 1963 edition, by Stan Lee with artwork by Jack Kirby, featured the debut appearance and origin of the X-Men (Professor X, Cyclops, Iceman, Angel, Beast, and Marvel Girl) and Magneto. And lot #647, a Marvel Comics Incredible Hulk No. 181 from 1974 was estimated at $1,800-2,400 but tipped the scales at $2,880. This CGC graded rarity came to life through Len Wein's story and Herb Trimpe and Jack Abel's illustrations, and included the first full appearance of Wolverine as well as an appearance from Wendigo. Finally, the Chicago themed artifacts and antiques on offer through this event generated national attention. Standing tall amongst all others was lot #38, a labeled wooden column from the Marshall Field & Company building. This attractive Neo-Classical sculpted column, from the legendary department store in downtown Chicago, measured 73-1/2" high and featured a recessed top to accommodate a flower pot or other seasonal ornament. It realized $1,920 on its $300-500 estimate. According to Gabe Fajuri, President at Potter & Potter Auctions, "We were thrilled to have a gallery filled with fine art, and more importantly, artifacts and art related to the history of the city in which we live and work. There's something special about offering relics related to the buildings, builders, and important historical events of the place in which you live and work. Many bidders from Chicago felt the same way, and said so on auction day - by bidding and buying, or attending the auction." Image: Lot 230, South of No North, sold for $2,280.